Earlier this week, a news website broke the news for Samsung’s latest flagship phone’s release dates, specifications, sizes as well as UK prices. Since then, there has been leak after leak and several renders have also shown up on the internet. Being the 10th anniversary Galaxy product, everyone expected the phone to look drastically different. Many also assumed that it would have a folding display. 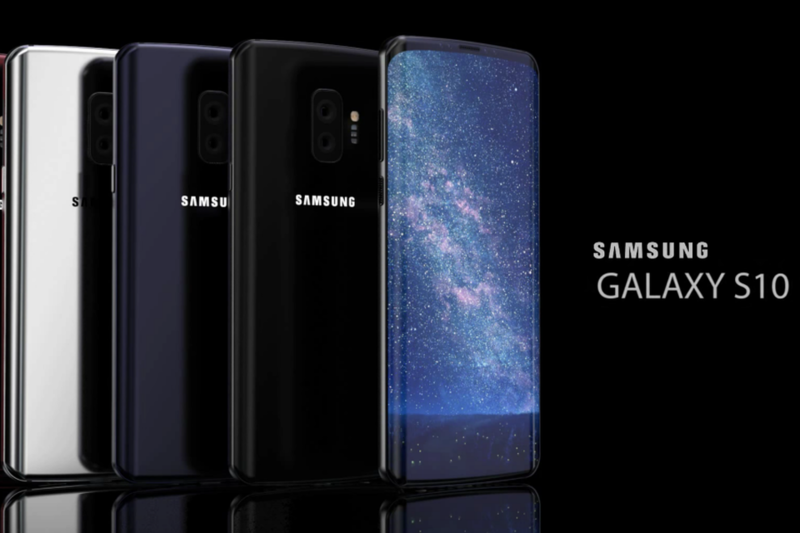 But according to leaks, the phone is slated for launch at a Samsung Unpacked event beforeMobile World Congress 2019. The event is scheduled for the 20th of February. The leaks came directly from a trusted source of the said news website and they have verified the source as well. The leaks also suggest that the S10 will be available in three different versions. These include a regular version, a Plus version, and a flat version. The regular version and Plus version will feature curved displays while the flat version will have a non- curved or flat display. All the three phones will have the Infinity- O display. This design was patented by Samsung recently and features a camera cutout at the front of the screen. This gets rid of the notch that every other phone comes with these days. This is also less obtrusive when it comes to media consumption such as videos or gaming. The phone will also feature an Ultrasonic in-display fingerprint sensor. The fingerprint sensor, unlike the optical ones that we see on most phones, is said to read fingerprints using ultrasonic waves. It supposedly reads the ridges of the fingers in 3D. There will also be a three camera setup at the back with three different focal length lenses, namely standard, wide and tele. The Galaxy S10 will feature the newly showcased One UI over Android Pie. The One UI is specially made to help users to use the phone easily with one hand. Coming to the size of the screen, the three variants will be 5.8 inch for the Lite variant, 6.1 for the standard variant and 6.4 for the Plus variant. Interestingly, the storage sizes have also been leaked along with the price for the UK market. The 5.8-inch Lite version of the S10 will feature 128GB of storage and retail at £669. The standard 6.1-inch screen will be available in two sizes. The 128GB will be priced at £799 and the 512GB storage variant will cost £999 in the UK. The Galaxy S10 Plus is going to boast of a lot of different variants with a lot of storage options. There will be a 128GB version for £899 and a 512GB version at £1099. There also will be a one terabyte Samsung Galaxy S10 Plus for a whopping £1399. The S10+ will compete with the iPhone XS Max which has a price tag of £1,449 for their 512GB variant in the UK.